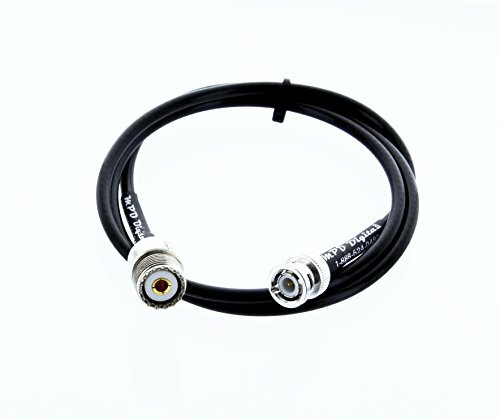 Our Coaxial cable meets applicable DoD requirements for Government use. A United States defense standard, often called a military standard, "MIL-STD", "MIL-SPEC", or (informally) "MilSpecs", is used to help achieve standardization objectives by the U.S. Department of Defense. Standardization is beneficial in achieving interoperability, ensuring products meet certain requirements, commonality, reliability, total cost of ownership, compatibility with logistics systems, and similar defense-related objectives. Defense standards are also used by other non-defense government organizations, technical organizations, and industry. MPD Digital could import these items from China for much Much less and mark them up for sale here. We choose to buy US made Name Brand coaxial cable that is higher quality (and Much more expensive) and make our cables in the USA. Made by Kimberly Distribution LLC / MPD Digital are warranted by MPD Digital. LMR195 / LMR-195 is a Registered Trademark of Times Microwave Systems * If your Coax does not say Times Microwave it is Not the "Name Brand" but a copy. If you have any questions about this product by Times Microwave, contact us by completing and submitting the form below. If you are looking for a specif part number, please include it with your message.